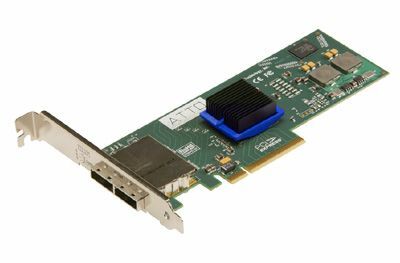 The ExpressSAS H680 is among ATTO’s first host adapters to provide blazing-fast 6-Gb performance at 600MB/sec. per port. By utilizing a serial, point-to-point architecture, in addition to PCI Express 2.0 bus technology, ExpressSAS 6-Gb host adapters are engineered for demanding IT and digital media applications which require more performance than 3-Gb SAS/SATA can provide. The ExpressSAS H680 features eight external ports and allows connections to 256 end-point devices.